In most parishes of whatever tradition there always seems to be someone who takes delight in being of a different tradition. Essentially it seems to boil down to a similar condition to that of a rebellious teenager who rebels against the status quo. In nearly every Anglo-Catholic parish that I have known there have been people who claim to be evangelical and who attempt, with hardly any success, to bring people round to their way of thinking. In a strange sort of way they seem to thrive on being the odd one out. Donald G Dawe, from his article in The Way magazine, The Immaculate Conception in Ecumenical Perspective. When a powerful spring breaks forth from the earth, its waters spread in all directions from it. A great pond is formed from which streams flow out to water a parched earth. Right around the spring there is verdant growth where its abundant waters bring forth a beauty only faintly intimated in the surrounding countryside. The grace of God came into human history at a particular time and place through the coming of Jesus. And like a mighty spring this grace abounding flowed forth in all directions transforming whatever it touched. 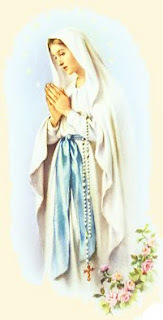 It flowed with particular fullness into Mary because of her unique closeness to her Son. It flowed backward in time to Mary to prepare her for her role in the Incarnation. This is what is celebrated in the Immaculate Conception. The grace of God in Christ flows forward in time to fulfil in Mary the promise made to all the saints for their full salvation of soul and body in the kingdom of God. This is what is celebrated in her Assumption. Such a metaphor suggests the basis for an ecumenical vision of Mary and for ecumenical prayers of thanksgiving and hope. Children, unfortunately, are sometimes conceived in drunkenness, sometimes in lust, sometimes by accident, and such children, alas, from the very moment of conception have been made victims of human sin. If we could imagine a child conceived out of pure love before God, would not such a child from the very moment of conception—I mean, conceived in the loving desire of the parents for the child even before they came together in sexual union—would not such a child be from the beginning the recipient of grace? This is no mere sentimentality but simply the recognition that human beings are personal beings, not just biological organisms, the recognition that sees the creative moment of conception, whether for good or bad, in the personal relation subsisting between the parents rather than in the biological phenomenon of a fusion of cells. Even before birth, a child growing into relation with its mother, and from the very beginning is receiving influences that help to mould it one way or another. Already that child is becoming an individual person within the community of persons to which it belongs . . .
. . . Instead of putting the dogma of Immaculate Conception in the negative form by stating that Mary was preserved from the stain of original sin, we may put it in an affirmative way and say she was preserved in a right relatedness to God. An equivalent affirmative expression would be to say that she was always the recipient of grace. She was surrounded with grace from her original conception in the mind of God to her actual historical conception in the love of her parents.